The northern bat is the European bat species with the northernmost distribution area, it can even be found above the Arctic Circle. In Estonia the northern bat is the most common bat. 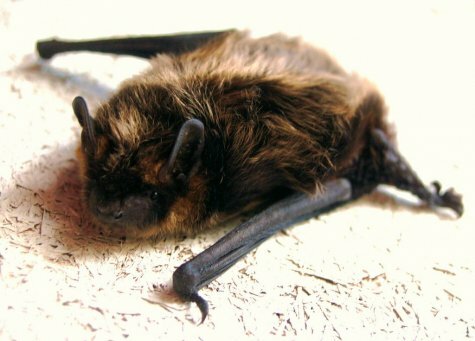 We often encounter northern bats flying in gardens and parks in cities as well as in the countryside. They often even fly between large multi-storey buildings. If possible they prefer, similar to most bats, habitats with a nearby water body. Northern bats have a characteristic dark face and flying membrane. The fur is blackish or dark brown on the back, with light hair tips. With respect to colouring and face it differs clearly from other bats in Estonia. 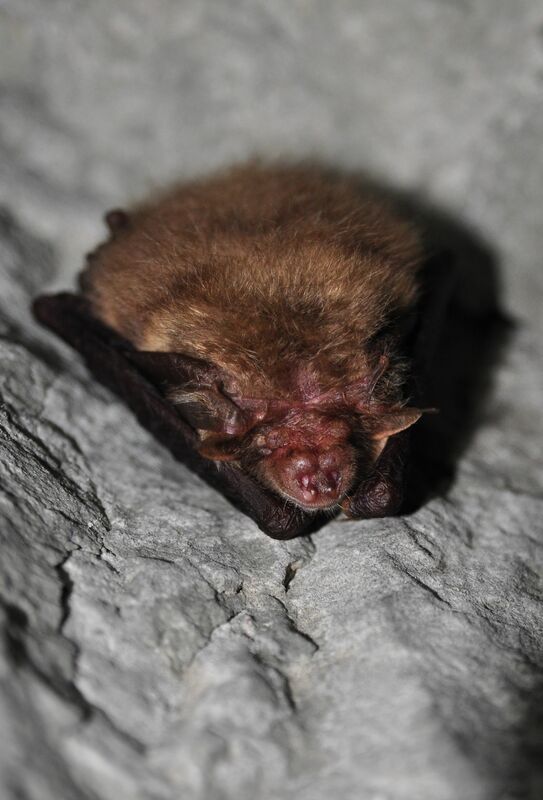 In winter the northern bat can be found overwintering both in large caves and country cellars. The brown long-eared bat is a common species in Estonia that can be seen in forests as well as settlements. The long-eared bat is very easily recognised by its long ears, almost as long as its body. The brown long-eared bat catches its prey both in the air and from tree leaves. The brown long-ear for instance can find and catch a moth sitting on a leaf. To do this it “floats” slowly around tree crowns and for finding insects uses its excellent hearing for echo location (this is why it has so big ears) and its vision. The big-ear can be found wintering in large caves as well as small cellars. A wintering animal is fairly easy to recognize, but not by its ears because those it usually packs under the wings so that only the ear covers or traguses are visible. 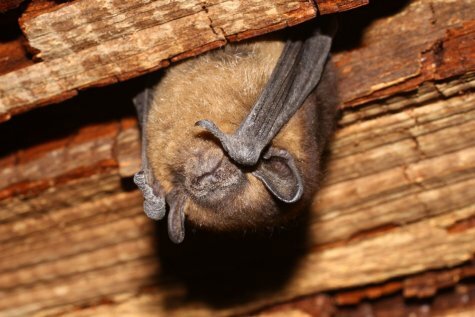 A brown long-eared bat hanging in its winter quarters is rhomb-shaped, with brown back and tousled fur.